Do You Want to Sell Your House Fast ? We are Cash buyers in maryland Call us at sell your md house to us if you need a quick close . We pay Cash for md dc & va houses so let your old Maryland home become our home. We are maryland investors, We Buy House in Hyattsville, college park, bowie, ft Washington, Montgomery county, Washington dc and many other prince George’s county areas. We will pay you all cash for your property located in maryland – we are the we buy house guys and it is true we pay CASH for homes and can CLOSE QUICKLY. We Buy AS-IS and in any condition. See what our clients are saying some sold us their Ugly Houses that needed repairs, some sold us their house because they wanted to relocate. As is, no repairs we buy it all if its in our current house buying area. Call 202-641-6882 . Step 1:– Submit information about your home for analysis. Step 2:- If interested, an investor will contact you to discuss an offer on our House. Step 3:- You accept or reject the home offer. Step 4:– You have the cash in hand you need, and your home sold. If you ever thought I need someone to “buy my house” remember we buy houses md and are true homes buyers who will give you a chance to sell your property fast. If you need any selling home advice, because you want to sell your home fast, we try to educate our home owners as much as possible. Tips for selling your home fast if you can’t refinance, find a md cash home buyer and yes we are one. Recently we helped save the homeowner in the 1200 block of Evarts st in Washington Dc from facing Foreclosure. If you know anything about DC (The District of Columbia) real estate then you can Imagine what this home owner went though. Her situation was, She had always thought that she had a reverse mortgage and had completely stop paying her mortgage for about 6 year Can you image that ? 6 years of behind mortgage payments but the homeowner had kept up with her taxes and insurance. This was not her 1st time facing foreclosure, one time she was just asked to pay a $$ dollar amount and the foreclosure was stopped. When we were called to help out, the owner had thought she only owed about 200k come to find out that they really owned the bank 500k. We are talking about owners who had this home for over 30 years and at onetime the home was free and clear. The mortgage was brought and sold many of times from different mortgage servicer’s leaving the home owner to question the amount that she actually owed on her home. Because the home was sitting in one of the hottest area in Dc “Brookland” she still had some equity left because houses that where being renovated was being sold up to 800k. Time was running out on the homeowner and because she owe to much money on the home we could not buy this property for cash so she wasn’t able to sell it to an investor because the numbers just wouldn’t work for an investor . We actually had to help the homeowner file for bankruptcy to save her home. She listed the home and got a contract on it from a traditional buyer and was able to sell the property as is with no repairs. Along story short the homeowners husband had taken out an equity loan to pay off the his first wife because the home use to be the couples first home. That’s where all the extra debt came from, we were able to get the bankruptcy case withdrawn and the homeowner sold the home and instead of letting the bank take back the home they were able to walk away with money in their pocket. I’m cash buyer who buys houses in Baltimore for rehab, but I also buy homes for rentals. We will buy your home if a tenant destroyed your rental like this tenant destroyed mines. No matter how much you try to help Baltimore tenants or any other tenants who are renting your property and are not home owners. THEY DON’T TAKE CARE OF THINGS THAT ARE NOT THEIRS. I had one tenant Malika Bailey big fat chick and she basically destroyed my new renovated rental. “I have until the 13th to have found some where, or run the risk of having to. Pay the remainder of this months rent. I am looking to move by the end of the week. So I can view this property at what ever available time you have. Pleaseeee give me a call at your earliest convenience (443) 801-9648. After she left my baltimore home she moved right down the street and then was evicted from there. If you ever read this post and doing a check on a Malika Bailey I would not rent to her. Well if you have a tenant who destroyed your property like this and you are tried of being a land lord then give me a call I be happy to pay you cash for your Baltimore property. We are Cash buyers looking for houses in poor condition that you don’t want to maintain anymore. We buy houses. $$$ ~ We have been buying, selling, renting homes in Baltimore and we need more. Landover home paid for by cash by fellow cash buyer Derek Tyler in Maryland rehabbed fixed up and flipped this property. Maryland homes are in demand by cash buyers like myself even regular buyers after the properties are fixed up. This was a 5 bedroom home that need a lots of work. An extra bathroom was added in the basement. it took 6 months to fix and flip and it had many problem areas. Real estate investors like myself love the landover md area, the cheverly maryland even hyattsville maryland houses that are for sale by owner. Sell your house for cash Montgomery county but we are also buying houses Brandenburg Maryland. we are active real estate investors in Bowie Md and have brought foreclosed homes in Bentwood. Cleverly Md and we buy homes for cash in that area. Sell your us your College Park md home fast even if it is an estate sale or listed with a Maryland realtor for a discounted price. Colmar Manor is in a part of maryland were we buy houses as is and in any condition. Don’t get caught up in the sell your home fast scams like the one that happen in Cottage City. to sell your property fast for cash. We also buy houses in Fairmount Heights, Gaithersburg, Glenarden, Greenbelt and Hagerstown. 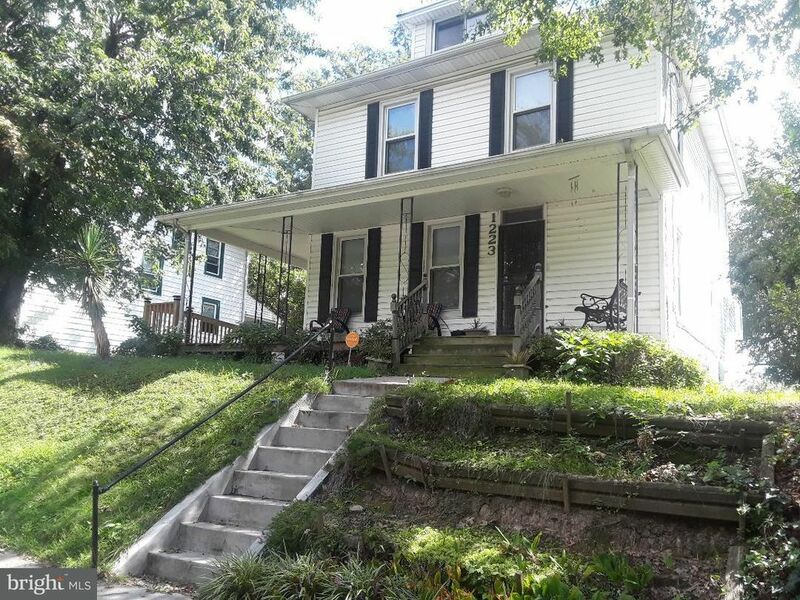 we buy ugly houses Hyattsville if you need to sell your house fast, we are one of the few companies that buy houses in Kensington and La Plata Maryland. if you are selling a house by owner in Landover Hills visit our website at www.housebuyingnetwork.info. Landover which is in zip code 20875 and now they have been calling parts of landover “hyattsville” in Prince George’s County. I buy houses in Laurel so if you need a quick cash settlement call us today. to list the property for you. Seat Pleasant is an area if you need to sell my house fast please give us a call 202-641-6882. In the past we looked at properties in Takoma Park which is in Montgomery County so don’t hesitate to sell your home fast today in that area. we rehabbed a few properties in Upper Marlboro and we are always looking in this area. We will take over your mortgage in Vienna to help stop your home from foreclosure. Arundel county, Baltimore City, Baltimore County, Calvert County md, Charles County maryland, Frederick County md, Harford County, Howard County, all of Montgomery County. We are open to doing creative financing deals in Alexandria va,Falls Church va, Fairfaix va and arlington but we will buy any home fast in these areas also. Arlington va a area we are trying to find more properties in. There are many reasons why a motivated seller may turn to an we buy homes investor such the house buying network to buy their house. In the current economy job losses, foreclosures, and other financial woes are putting immense pressure on Maryland, Dc & Virginia homeowners to sell and sell fast. Selling to a real estate investor in Md could reduce your stress and ease the process of selling your house. #1 – The first and most obvious thing we can offer you is speed. We typically know what you are looking for and can give you an offer on the spot. You’ll not be slowed down like you would with a non investor and their inability to get a loan or qualify for a mortgage. We have cash, and are able to close in as little as two weeks. #2– A real estate investors like us who buys houses gives you convenience. We are offering you a service, and as a result are willing to work around your schedule. You won’t need stay on call, prepared to leave your house at a moments notice for a realtor. We have flexible schedules this is our full time job, we be able to work around your schedule. #3– Perhaps the most financially rewarding benefit of selling to a real estate investor who buy 1-3 homes a month like us is the ability to sell as is. This is the primary motivator for many home owners who decide to take this route. Putting a house on the market is expensive. It may take thousands of dollars in repairs to finally get to the point where your home can compete with newer or updated homes and rentals in the area. Making lots of repairs doesn’t even guarantee you a quick sell. We deal with the imperfections, and actually expect to have to make repairs. Retail buyers feel the need to imagine themselves in the house before they buy it- a task they have trouble doing if the carpet’s dirty or there are foundational problems. #4 – Lastly we as investors, our offers are usually flexible. We are usually adaptable and will structure a deal in whatever way works for you but at the same time works for us also. If you don’t want to close for a few months chances are we still my be interested in your home but the offer may change because of the market. Common things we do as real estate investors is to buy a house, and then rent it back to the owners until they can find another home to move into, every homeowner situation is different. Although you may not get as much money if you sold your house to an investor like us, as you would if you listed it with a realtor , there are many reasons to choose this option. Again Fast Cash – Quick Close – Confidence that we will be at closing unlike others who might not qualify for financing. If you are trying to sell your house in Maryland, DC, Virginia or elsewhere because we do buy houses in other states. Fill out the form below and someone will contact you as soon as possible. The House Buying Network can help you like we helped this family !!!! We had to move, expectantly due to a relocation and are currently renting our home to a nice family. We now live out of state. The home has become somewhat of a “burden” on us as our tenants could not afford to pay us in rent what we need them to or would like them too, so we are paying for 2 homes right now essentially. We have put it on and off the market 2x with no luck. A ton of foreclosures in the area…. So, we are looking at a last, desperate option, and that would be to try to sell it to one of these places that advertises “we buy houses”. We would like to know if anyone has had any experience with any of them, any that are legit and you would recommend? Any help is appreciated at this time! Complete Our Online Seller Questionnaire So We Can Make You an Offer to Buy Your Maryland Fast! Please choose Maryland county or city below to complete our and tell us all about the house you have for sale in Maryland. We’ll review your information and contact you ASAP about buying your Maryland house fast! We Are The House Buying Network ………..
We Buy Houses for any of the reasons below. Contact us for a All Cash Offer. Who are we the House Buying Network and we have been buying houses since 2009. We are real estate investors and we buy homes for cash in many states. We buy houses Baltimore, Philadelphia, Louisiana, Indianapolis; we buy houses San Antonio, Montana, Kentucky, Connecticut, Massachusetts and a host of other states. I’m a md realtor so if you ever ask yourself “who will buy my house” or you need investor leads look no further. If we don’t by it because it doesn’t fit our criteria we have other friends we can help you sell it to. I also deal with foreclosed homes in md, we are short sale experts who provide solutions to your problems if your property is underwater or you owe more on the house than it is worth. In 2012 sold homes in my area was on the rise and I would like to say my House Buying Network had a small part to do with that. Our website will provide you with our houses reviews from past sellers and our track record to prove to you this is no buy my house scam or we buy houses scam. If you want to sell your house fast sell that house as is consider giving us a call at 202-641-6882. Sometime you will see our ads on craigslist in Maryland saying we buy ugly houses, we pay cash for houses and its all true we do. We come up with a fair cash offer that creates a win win situation for us the buyers and you the sellers. We are true cash home buyers and are always looking for properties that have 3 bedrooms and at least 1 bathroom. So if this fits a property that you currently have and you need to sell your house fast we are one among other companies that buy houses but we are one of the best and by far the fairest. So again it doesn’t matter if you are selling house by owner, it’s apart of an estate sales md we buy properties fast can close quick. Ocie Gibson has two passions one is youth basketball coaching and the other is buying houses for cash fixing them up and renting them out or putting them back on the market as 1st time affordable homes for families. Again give us a call at 202-641-6882 or fill out one of our need to sell house fast forms on the website and someone will call you as soon as possible. Housebuyingnetwork.info -Types of houses we have brought in the past. You are 1 step away from finding out what type of offer you can get for you house. Giving us general information will help us determine what we can offer you for your home. You are 1 step away from finding out what you can get for you house. Giving us general information will help is determine what we can offer you on your home. You are not obligated to anything buy giving us information on your own so we can evaluate it! Read more! Is Your Property Outside Of The Dmv? If you have property that Is not located with in the District of Columbia, Maryland or Virgina we are still interested. We have a network of buyers in all 50 states Read more! Powered by: we buy houses fast in Maryland.